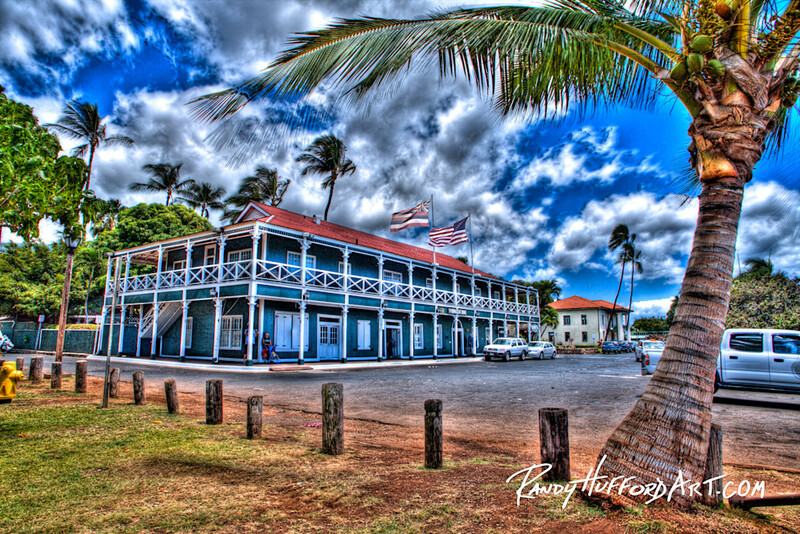 Lahaina town once was the political capital of the Hawaiian Islands. Lahaina town once was the political capital of the Hawaiian Islands. Also known for whaling and carousing, there are few buildings left to tell the story. Beside the largest Banyan tree in the United States, stands the courthouse-jailhouse, now morphed into the Lahaina Arts Society Gallery. Directly across from that is the Pioneer Inn. Built in 1901, it was declared a National Historic Landmark in 1962.